When visiting California you’d be forgiven for defaulting to Los Angeles and the Hollywood Hills. However, the cosmopolitan city of San Francisco 400 miles to the north has just as much to offer and comes complete with sea views! The city covers an area of 47 square miles and with a population greater than 800,000 it is the second most densely populated city in the USA (after New York). However, as you roam its characterful streets the atmosphere is one of fun – this is a liberal party town and it welcomes tourists with open arms. There is, however, a serious side to San Francisco and the city is now the headquarters of five major banking institutions and home to various other companies including Gap Inc, Twitter and Craigslist. Whether your visit is for business or pleasure you’ll find plenty to occupy you. The city is known for its refreshingly cool summers, winter fog and steep rolling hills that run through the eclectic mix of buildings and architecture. There are landmarks aplenty from the iconic Golden Gate Bridge to the former prison on Alcatraz Island, a 1,000 acre park and the incredible Chinatown district. After a long-haul flight from the UK the BTN team spent the first night of their stay at the attractive Pier 39 (www.pier39.com) and Fisherman’s Wharf (www.fishermanswharf.org). Now more than 35 years old Pier 39 was created using original wood from the 1910-era piers and serves as an eating, socialising and shopping area on the bay-side, looking out at the basking sea lions that frequent the region. The pier offers a relaxed introduction to the area and boasts unbeatable views of the city and the bay. You can’t spend long in San Francisco (call it “San Fran” or, heaven forbid, “Frisco” and the locals will scowl at you with distain) without catching sight of the majestic Golden Gate Bridge (http://goldengatebridge.org). The city’s most famous landmark opened in 1937 after a four-year build that battled the elements and is now considered one of the seven wonders of the modern world. The road bridge spans 1.7 miles from San Francisco to the Marin headlands and its pavements (sidewalks!) are open during daylight hours for pedestrians and cyclists. In fact, renting a bicycle is one of the easiest and most fun ways to see the city. Sure, there are some steep hills, but in order to see the highlights even an unfit writer such as myself managed without breaking into too much of a sweat! Cycling from downtown San Francisco to the Golden Gate Bridge takes you through Crissy Field (www.presidio.gov/explore/Pages/crissy-field.aspx). Once housing the first air defence station on the west coast, Crissy Field is still home to numerous historical buildings including hangars. Today it is a recreational area offering walking and picnic/BBQ opportunities among parkland and the scenic marshes that border the bay. 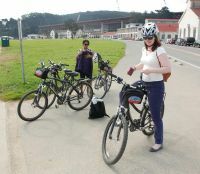 Slightly further out (but still cycle-able for the fitter reader) is the Golden Gate Park (www.golden-gate-park.com). At 1,017 acres and stretching for three miles on the western edge of the city it is one of the largest urban parks in the world and is home to museums and sports facilities as well as manicured parkland. If your visit coincides with an Opera in the Park (http://sfopera.com) event be sure not to miss the opportunity – you won’t regret it. Back in the city centre there’s also much to do with activities ranging from the award winning San Francisco Zoo www.sfzoo.org, the Cable Car Museum (www.cablecarmuseum.org), the Contemporary Jewish Museum (www.thecjm.org) and the Yerba Buena Gardens (http://yerbabuenagardens.com) – the latter in the heart of the downtown cultural district and containing public art, museums, a historic carousel, ice-skating and bowling centres. However, perhaps the most notable attraction of all is Alcatraz Island (www.nps.gov/alca/index.htm). Originally the site of the first lighthouse in the Western USA it became a federal penitentiary from 1934-1963 and housed famous convicts such as Al Capone. Now a visit to the island includes a tour of the cell house where visitors can see where the prisoners lived. 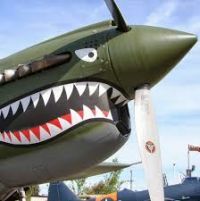 This attraction is so possible that tours sell out fast, often days in advance, so you are advised to book ahead to avoid long queues and possible disappointment. The other places you’ll experience large crowds are the city's sporting grounds. San Francisco takes its sport seriously and a visit to the Levi’s Stadium to see the 49ers (www.49ers.com) play football or the AT&T Park to see the Giants (http://sanfrancisco.giants.mlb.com/) play baseball will result in a night to remember. As you’d expect there is no shortage of places to eat and drink in the city, ranging from cheap and cheerful pizza joints to some really spectacular restaurants. Our top tip is to take a drive out to Ocean Beach to the west of San Francisco and spend the evening watching the spectacular sunset over the Pacific – either from the beach or from the terrace at the Cliff House (www.cliffhouse.com). You’ll then have the choice of eating in the informal Bistro Restaurant or the simply sublime Sutros. The food and service were impeccable and the prices incredibly reasonable – although the view out across the ocean was worth every dime alone! 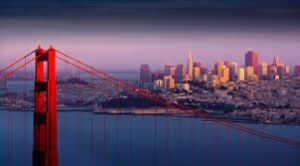 There is so much to do in San Francisco that you could easily occupy a week to 10 days in the city itself, but those prepared to travel a little further afield are spoilt for choices. If you do nothing else try to take the hour’s drive north to Sonoma Valley – and ideally arrange for somebody else to drive back as the area is home to some of California’s finest vineyards. The picturesque town is awash with cafés serving local food and (most importantly) wine and many of the vineyards are open for tours and tastings. During the BTN tour of the area my wife and her friend visited the Gloria Ferrer (www.gloriaferrer.com) vineyard to sample some of its sparkling wines while I took the opportunity to go to the neighbouring Sonoma Valley Airport (http://sonomavalleyairport.com) where it is possible to fly in a number of vintage aeroplanes – including a P-40 Warhawk and a P-51 Mustang. There's so much to do in San Francisco! a week is never enough.. you can either do everything, or just immerse yourself in the city's vibes. Run, walk, chill, absorb...love!